With April being National Garden Month, Earth Day coming up on Sunday, the 22nd and National Park Week starting on the 21st, it is the perfect time to talk about the many ways to go green in Lowell. There are many resources and organizations that can provide information on living green and help you take the steps towards a more environmentally sustainable life in an urban setting. Offbeet Compost is dedicated to creating a green economy that also produces local green job opportunities. To do this, they redirect food scraps from restaurants, households and small businesses away from the landfills to their composting site, where the scraps are broken down into nutrient rich compost. The new compost is then redistributed to participants and sold to local farmers, gardeners and landscapers. Offbeet also mentions how composting can actually reduce greenhouse gas emissions. Check out their website to learn more about the different ways you can become involved with Offbeet and their composting plans. With a goal to increase access to fresh produce around Lowell, Mill City Grows is very active in our city. They have many different events and programs that educate both beginners and experienced gardeners, such as farm to table cooking classes and a garden training program. This Saturday, April 21st, Mill City Grows will be hosting a screening of the film "Seed: The Untold Story" at the Luna Theater at 2:05 pm. Seed follows passionate seed keepers who are protecting our 12,000 year-old food legacy of which 94% of seed variations have been eliminated due to biotech companies controlling most of the seeds. Also happening at Mill No. 5 on Saturday, April 21st, will be a puppet, mask and banner making event for families. This event is part of Earth Day from 12-2 pm, and those families who participated last year were inspired to join the Earth Day parade with their art! To learn more about the community gardens around Lowell or if you just want to know more about Mill City Grows, click here. 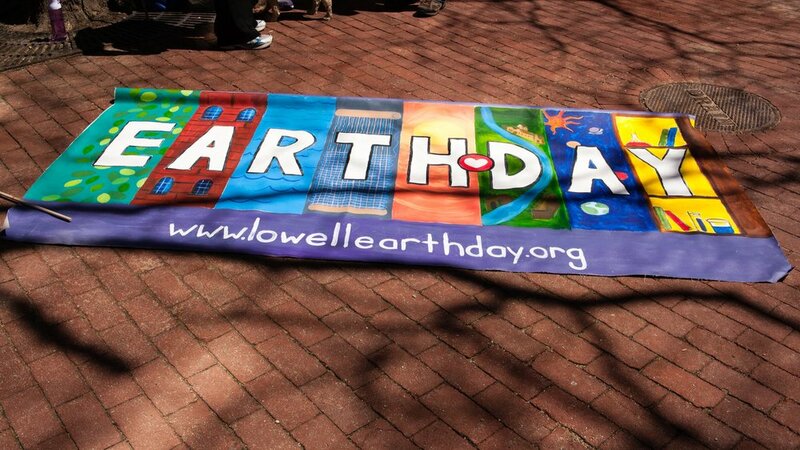 The Lowell Earth Day Parade & Festival starts at 11:30 on the 22nd! Celebrating Earth Day with our community is the perfect way to learn more about green living, and what better way to kick off the start of National Park Week than learning about ways to keep our environment clean and sustainable! This city-wide celebration of art, nature and sustainability begins with a parade from the National Park Visitor's Center on Market Street, and after doing a loop down town ends at UTEC on 35 Warren Street, where local groups will present activities, crafts and valuable information about taking care of our planet. Catch it before it's gone! The art exhibit "Honoring Gaia: Mother Earth," at the Arts League of Lowell closes on Sunday, the 22nd after being on display since the beginning of March. This exhibit honors Gaia, Mother Earth in mythology, life, birth and the regeneration of our planet's fragile ecosystems in the face of dangerous climate change.